The big idea: mix sound sources and inputs, add effects, and record — all in different apps on one iOS gadget, or even with multiple iPhones/iPads. On iPhone and iPad, there is now no shortage of apps that make interesting sounds. But producing music is for most people organizing sounds, and so, that same abundance of apps can become a weakness. You’ve got one thing that makes great noises, another thing that records noises, and another thing that turns an input into noises. What if you want to quickly record that sound, or use that cool effect to shape the sound of another app? On the desktop, you might load all those instruments and effects into a host. On the iPad, you’ve had a few options – copy and paste sound after it’s fully rendered, perhaps, or export to SoundCloud – but none really works intuitively the way you’d like. That is, until now. Audiobus will route audio freely between apps – allowing you to make sounds, add effects, and record them in any combination. A later release will even work between multiple devices, so a group of friends could jam or your iPhone could record your iPad, no audio cabling required. All of this is possible via an interface that any supported app will make available at a moment’s notice. It’s not available yet, but it’s already approved by Apple and working on devices. And that means we can look in some detail at how your music workflow will change on iOS in the very near future. 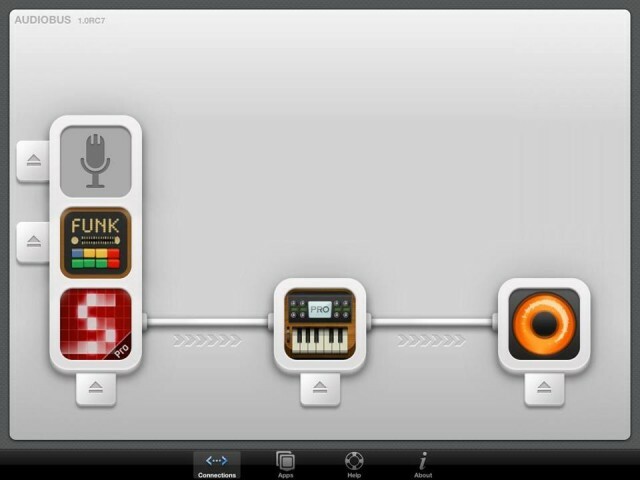 Here, Beatmaker demonstrates how you can use Audiobus as an input in another app. Earlier this week, I sat down to lunch with developers from Audanika and nLog, along with Palm Sounds’ Ashley Elsdon. Appropriately enough, we were at a place called Fleischerei, as Audiobus co-creator, Audanika’s Sebastian Dittmann, put some meat on this story – and on the iPad’s usefulness for music making. Imagine an ever-present interface that allows you to route sound, live, to other apps. Heck, you’d be happy to have that on desktop (JACK comes close, though its interface is not as intuitively integrated). 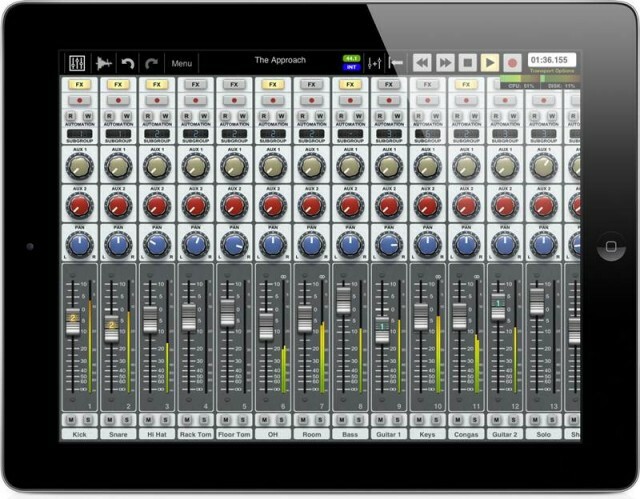 On the iPad and iPhone, a few finger touches are all you need to get apps sending sound live to one another. Add the Moog Filtatron to your favorite synth, for instance, and then record into a beat arrangement tool like Beatmaker. Crucially, this isn’t just about making the plumbing work. The engineering is already impressive; various tricks have enabled glitch-free audio that “just works.” (There’s a blog post on how that works.) And there’s the requisite Apple approval; that arrived last month. But the other reason Audiobus looks appealing is that plenty of work has done so that non-experts can work out how to make routing work, and that an unobtrusive interface is available in all your apps. Because the SDK is standard, audio works one way in all apps; you don’t have to learn how to make it work each time. Then, there’s what happens when you put several iOS gadgets together; routing between devices should also be possible. If iOS represents a clean slate, in some cases, it’s replicated familiar problems. (That’s my major complaint with Android, which had the chance to reboot the complex audio landscape of Linux and desktop operating systems – and somehow managed to come up with something that was actually worse.) Here, we get to see something that actually looks better. Add a DAW, and Audiobus gets very interesting. Image: Auria. A Tasty Pixel is co-developer of Audiobus, so of course their Loopy HD live-looping app works. So, too, does Audanika’s SoundPrism Pro – a controller, but it also makes its own sounds. The 48-track, advanced DAW Auria is essential; the developers are working on support. So, too, is Harmonic Dog’s Multitrack DAW, for an alternative. Intua’s Beatmaker 2 is another essential tool, since you could then turn other apps into samples. Moog’s wildly-popular Animoog synth and Filtatron effect processor are both confirmed. 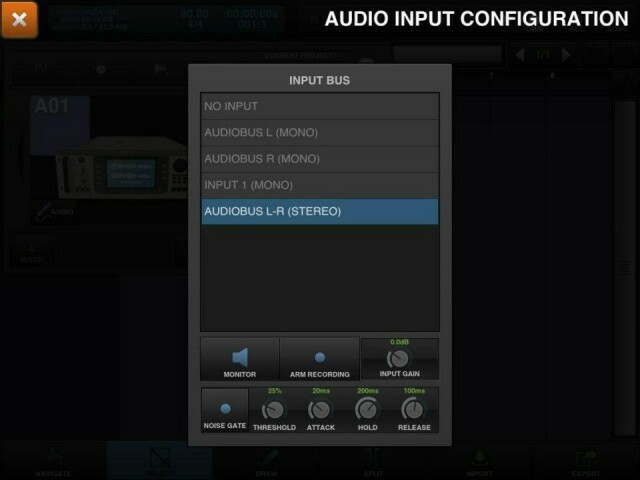 By the way, we can now confirm that there is no multi-app audio routing built into iOS 6. There was a slide that mentioned this at WWDC, but no other mention from Apple. So, this looks like a third-party capability, which makes sense: it’s a lot more involved than simply supporting hardware MIDI input and output. As you look at all these screenshots, you can see just how true that is, with all the UI elements needed to expose the functionality to users in order to make it useful. The Audiobus blog and Facebook page have given us more visual evidence, in particular demonstrating in animated GIFs some of the really lovely animations that make the interface easier to understand. AudioCopy / AudioPaste is best covered by its developer, Sonoma Wire Works, which explains how it works and which apps are supported. Note that these are three completely independent initiatives. But put together, they do provide a more-connected, more productive workflow on iOS. iOSMusician has a number of app lists covering which apps work with technologies like AudioCopy, virtual MIDI, WIST (start/stop sync), and Dropbox. What Is Audiobus & How Will It Change Mobile Music Making? Michael, co-creator of Audiobus, explains the idea – on his bicycle. Gizmodo focused on the group jamming capabilities, noting that Audiobus goes beyond what Apple can do with GarageBand alone. 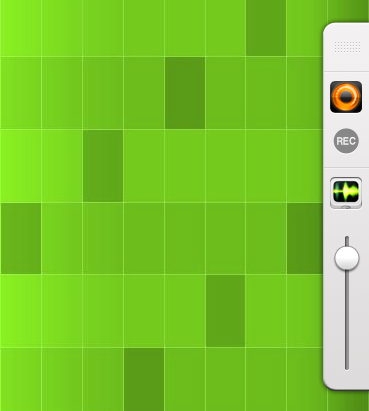 Audiobus on the desktop isn’t out of the realm of possibility. I could imagine building it atop JACK, which is already open source and functional on Mac, Windows, and Linux, even with network features. JACK could certainly benefit from a UI that worked the way Audiobus, and integrated with iOS devices running Audiobus. For now, that’s all just theoretical, though: the Audiobus developers know users want it, but aren’t going there – yet.